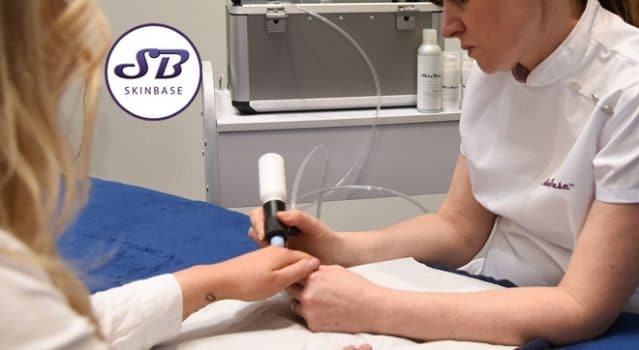 You’ve probably heard us raving about our Microdermabrasion pedicures recently – but with sandal season well and truly behind us, we decided it’s time to share some love for another fantastic microdermabrasion treatment – our manicures! Your hands are extremely hardworking and are on show year round, so we think it’s important to show them some love, especially during wintertime when your hands are even more vulnerable to dryness and ageing. Read on to learn what a microdermabrasion manicure can do for your hands! Rough hands are never a good look, but it’s one that most of us end up with from time to time no matter how much hand cream we apply. 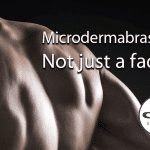 A microdermabrasion manicure will remove dead skin and deeply exfoliate the skin so that it looks soft and smooth. Dead skin absorbs light too, so microdermabrasion will also help to give your hands a healthy glow instead of looking dull and rough. It doesn’t matter how much love and attention we give the skin on our faces; if we have wrinkly, lined hands, we’re still showing our age. And if you tend to neglect your hands, you might find that they look a lot older than they should. 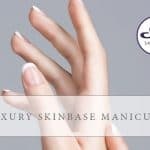 A microdermabrasion manicure helps to reduce wrinkles and lines on the hands, by stimulating collagen production to help smooth and plump the skin. Dead skin absorbs skincare products, which means that the living skin below can’t get the benefits of the product you’re using. That expensive hand cream is wasted on dead skin, and it means that the skin below won’t get any of the benefits, leading to dry, dehydrated skin, no matter how regularly you apply it. Microdermabrasion increases product absorption, meaning that your hand cream will become even more effective at protecting, hydrating and nourishing your skin. 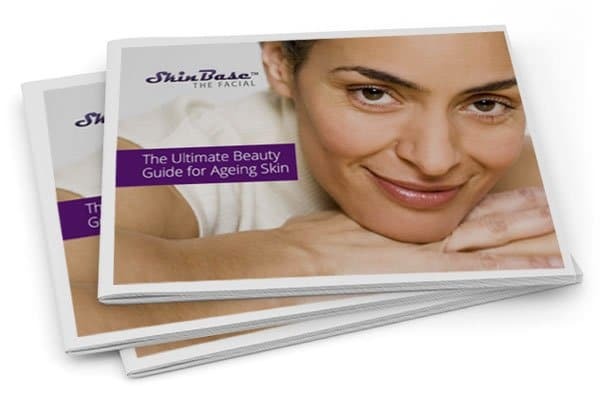 SkinBase MD – A great body treatment too.